Six or eight years of age, with a few reaching beyond ten. Cub Rearing: Usually 2 to 3 cubs are born in caves, hollow trees, holes in the ground, or any suitable, sheltered place. The mother leopard moves her cubs to a new shelter every two or three days, carrying them one at a time in her mouth. Leopard mothers groom their cubs by licking and nibbling at them, and they groom each other and their mother. The cubs stop suckling and start eating meat after about 3 months: they are led to the kill to eat until about 10 months, when they join the mother on the hunt. Cubs become independent after a year, although siblings often remain together for a few more months, and some cubs do remain with their mothers for almost two years. After cubs have become independent, affectionate reunions between mother and cubs can still occur. The leopard inhabits the forests, mountains and grasslands of Africa and Asia. It can be found in all of sub-Saharan Africa and west of the Kalahari. They also occur in China, India, Iran, Pakistan, Indonesia, Nepal. The most elusive of the large carnivores, the leopard is a cunning, stealthy hunter. Its prey ranges from strong-scented carrion, fish, reptiles and birds to mammals such as rodents, hares, hyraxes, warthogs, antelopes, monkeys and baboons. Leopards have a very wide habitat tolerance. They generally occur in rainforests, areas with rocky hills, mountain ranges or temperate forest, but can even occur in semi-desert, where they frequent watercourses and rocky outcrops. In arid regions they are independent of water, deriving sufficient water from the bodies of their prey, as well as tsamma melons, but throughout their range they will drink if water is available. Leopards are solitary creatures and predominately nocturnal. Each individual has a home range that overlaps with its neighbors; the male’s range is much larger and generally overlaps with those of several females. Leopards continually move about their territory, seldom staying in an area for more than two or three days at a time. 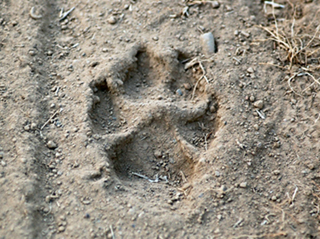 Ranges are marked with urine and claw marks and leopards announce their presence to other leopards with a rasping cough. Leopards also growl and roar. The most secretive and elusive of the large carnivores, the leopard is also the shrewdest. Pound for pound, it is the strongest of the large cats and capable of killing prey larger than itself. To prevent other predators from taking their food, leopards store their larger kills in trees where they can feed on them in relative safety. Black leopards are not a separate species or subspecies. The melanistic variation is the result of a genetic mutation. Black leopards also have spots. The term “black panther” means a large, black cat and is most commonly used in reference to black leopards and black jaguars. The leopard’s range is the most widespread of any cat. Leopards must compete for food and shelter with other large predators such as lions, tigers, spotted hyenas, and both African and Asiatic wild dogs.